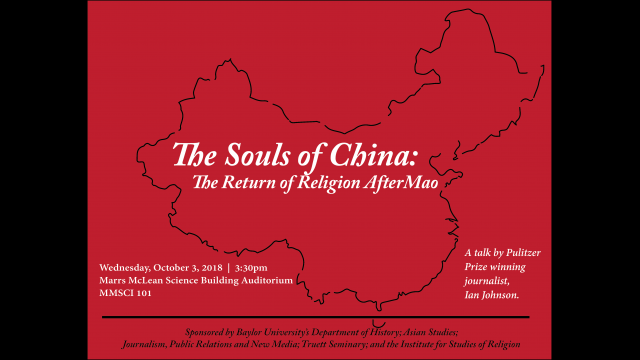 Pulitzer Prize winning journalist Ian Johnson has spent nearly twenty years in China, reporting and writing on the country's society, religion, and history. His most recent book, The Souls of China: The Return of Religion After Mao, is a critically acclaimed and engrossing look at the resurgence of diverse faith practices in China after years of religious persecution. 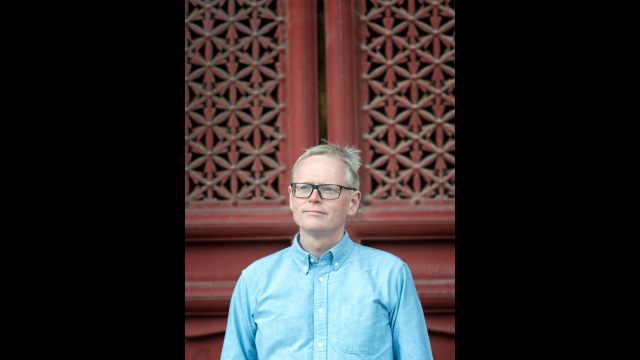 In his talk, Johnson will speak about this remarkable explosion of faith and the uncertainties over how to lead a moral life in contemporary China. Sponsored by Baylor's Department of History; Asian Studies; Journalism, Public Relations and New Media; Truett Seminary; and the Institute for Studies of Religion.